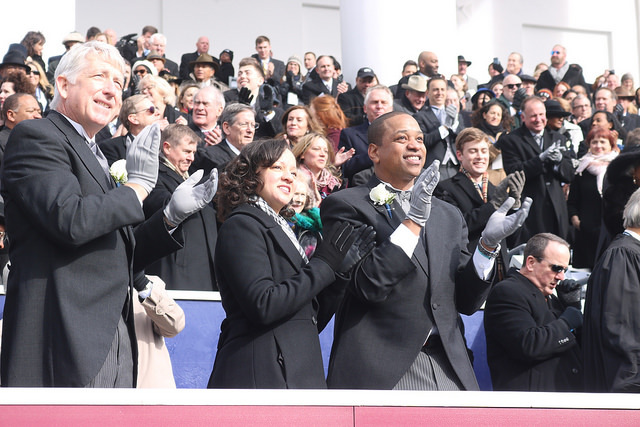 The Democratic Lieutenant Governors Association (DLGA) announced on Feb. 9, 2019, that Virginia Lt. Gov. Justin Fairfax (D) on Friday was removed as chairman of the organization after two women accused him of sexual assault. In the interim, Lt. Gov Cyrus Habib (Wash.) and Lt. Gov. Bethany Hall-Long (Del.) will take his place. DLGA Executive Director Roshan Patel released a statement stating Lt. Governors Habib and Hall-Long have been leaders in the group and had a commitment to make a difference in future of the United States. The group was launched in 2018 by Fairfax and he became the first chairman. The DLGA assists Democrats in running their campaign for lieutenant governor by providing policy assistance and resources. The announcement of the removal came after Miranda Watson announced Fairfax sexually assaulted her. On Feb. 8, Watson’s lawyer accused Fairfax of sexual assault at Duke University in 2000. Vanessa Tyson came forward earlier in the week accusing Fairfax of sexual misconduct at the Democratic National Convention in 2004. The Virginia Democratic Party and several Democratic lawmakers have stated publically that Fairfax should resign following the accusations. Fairfax stated on Friday he would not resign, denied the allegations, and would clear his name. He also welcomed a full investigation.